Bangladesh Army International University of Science and Technology is an army-affiliated university in Bangladesh. 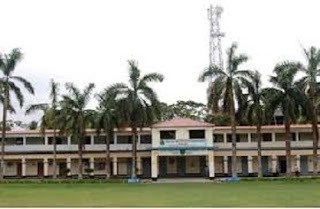 This university is situated at Comilla city. This university is maintained by the army of this country. Now, for more info read the rest of the article. In the below, we have described the cost structure, admission process, and details of this university. Bangladesh Army International University of Science and Technology is a pioneer university of Bangladesh Army. This university established in 14th February 2015. And, the location of this university is in Comilla Cantonment. Actually, the main campus is in the Comilla city. Now, Comilla is a city in eastern Bangladesh which is a part of Chittagong division. The university has got the infrastructure support from the Comilla Cantonment. The motto of this university is "Knowledge, Wisdom, and Technology". And, this university’s mission is to provide quality and unique education and reach in engineering, science, and other programs. It has the aim to become a core of knowledge in Bangladesh. Now, the nickname of this university is BAIUST. 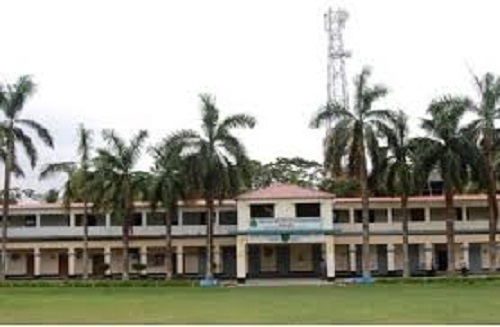 This university has the total area of 31 acres in the Comilla Cantonment. The total number of students in this university is 700. President Abdul Hamid is the Chancellor and Brig. Gen. (Retd)Ilyas Iftekhar Rasul is the Vice-Chancellor of this university. Now, we are giving you the official website link of BAIUST which is www.baiust.edu.bd. Bangladesh Army International University of Science and Technology has total five departments. All departments course duration time is 4 years. Now, the names of those departments are given below. • Bachelor of Science in Computer Science and Engineering (CSE). • Bachelor of Science in Electrical and Electronic Engineering (EEE). • Bachelor of Science in Civil Engineering (CE). • Bachelor of Business Administration (BBA). • Bachelor of Arts (Hons) in English. Now, the CSE department has total 100 seats for the students. The EEE and the BBA department also have 100 seats for the students. And, BBA course is available Accounting, Major in Marketing, Finance, HRM, and SCM. But, CE and English (Hons) has 50 seats. Bangladesh Army International University of Science and Technology fee structure is quite expensive for the undergraduates. Now, the CSE, EEE, and CE have tuition fee total 50,000 Taka and total fee 85,000 Taka per semester. The BBA course has the tuition fee 37,000 Taka and total 50,000 Taka semester fee per semester. And, English (Hons) has 27,000 Taka tuition fee and 40,000 Taka semester fee for per semester. So, these are the Cost format of this university for all undergraduate students. Bangladesh Army International University of Science and Technology admission process is very simple. The students who are interested in admitting here must apply for here first. After finishing all the admission formalities, students will be selected to admit here. Now, according to a student’s previous performance in SSC and HSC exam, he/she will be selected by admission committee. Conclusively, it is needless to say but this university is very good. And, visit our website for the update about Bangladesh Army International University of Science and Technology.